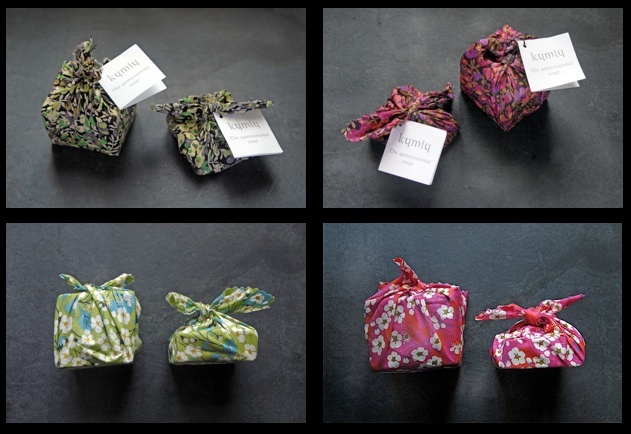 Our delicately crafted quintessential soaps are hand-wrapped in the finest Liberty cotton fabric. These signature presentations are a unique feature of our brand, and lend harmony and balance into your everyday surroundings. Our wrapping technique is steeped in an ancestral tradition prevailing in many parts of Asia. Known in Japan as furoshiki, it derives from the age-old practice of bundling clothes and bathing accessories in a large piece of cloth or bath spread to carry to the public bathhouse. Today, furoshiki has become an elegant and distinctive wrapping technique that, in addition, is fully respectful of our environment.